Research suggests cash incentives make obese people lose weight. Overweight Brits may soon find that shedding extra pounds would benefit their wallets as well as their waistlines. The UK public health service, the NHS, wants to encourage companies to reward employees who lose excess weight and maintain a healthy lifestyle. Dubbed the 'pounds for pounds' program by Britain's biggest-selling newspaper The Sun, the initiative is part of a plan to tackle an NHS funding shortfall that is forecast to hit £30 billion ($48 billion) by 2020. NHS executives plan to ask the cash-strapped government for £8 billion, but the rest will have to come from savings, including reducing spending on weight-related illness. Only a handful of countries, including the U.S., Mexico and Australia have higher obesity rates. Employees who manage to curb their unhealthy habits could be offered cash, shopping vouchers or prizes. The NHS declined to comment on the likely size of the incentives, but said some of the funding could come from taxpayers. Obese people are more at risk of cardiovascular disease, diabetes, degenerative joint diseases and some cancers, according to the World Health Organization. The NHS proposal -- which comes about six months before the U.K. election -- follows similar efforts by companies in the U.S. to encourage their workers to get fit. It hopes to save money and reduce the number of sick days people take. Sickness-related absence costs UK employers and taxpayers about $35 billion a year, the NHS said. Individuals miss out on $6.4 billion a year in lost earnings. There's evidence that dangling a juicy carrot works. A study by the Mayo Clinic, ranked the best U.S. hospital in 2014, found that 62% of obese people offered $20 a month succeeded in meeting their weight loss targets. 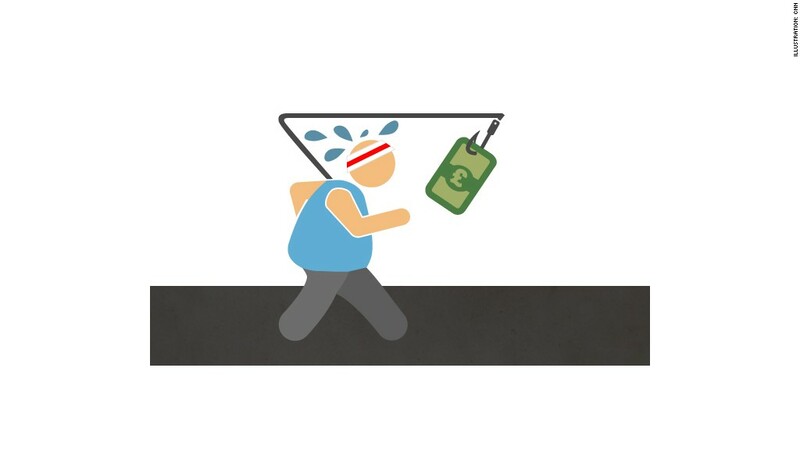 Just 26% of people given no financial incentive managed to hit their goals.